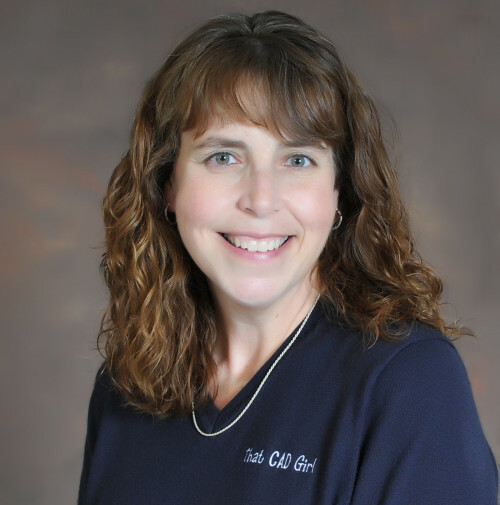 Jennifer DiBona is a long-time CAD consultant and trainer doing business as That CAD Girl. That CAD Girl is an authorized Carlson Reseller and a charter member of Carlson College. That CAD Girl is an independent consultant based out of Raleigh NC. We provide sales, support and training for Carlson Software, AutoCAD and IntelliCAD software programs as well as Carlson hardware and data collection. Field to Finish, Surface Modeling and all aspects of CAD standardization are our specialties. Whether it’s training, tech support or consulting, That CAD Girl can fulfill the “trusted advisor” role for your organization and make recommendations that are best for you – regardless of the software or other consultants you are currently working with. Since it’s what we sell, the initial questions are usually about Carlson Software and the answer is often a move to that software. Our live, interactive webinars are included with every software purchase and, if more personalized training is needed, we can provide the expertise you need to make the transition as smooth as possible. In short, That CAD Girl will help you buy what you need and use what you buy. Jennifer DiBona is a long-time CAD consultant and trainer doing business as That CAD Girl. She is based in Raleigh, North Carolina. Many years ago when working in civil engineering and land surveying offices, she found herself working primarily with men (naturally). Since she was the only “girl” in the office, clients or others asking for her would often simply ask for “That CAD Girl”. The name stuck. Jennifer has a degree in Surveying and worked in various consulting offices for approximately 15 years. After her time working as a designer and drafter, she then worked for an Autodesk reseller as a Civil 3d Implementation Certified Expert (ICE) and built their technical services division from the ground up. Jennifer is one of the charter members of Carlson College which is the certified program for authorized Carlson Software trainers and she also wrote the “CAD Picks and Clicks” column for Professional Surveyor Magazine. Jennifer is a member of the Steering Committee for Version 6 of the National CAD Standard®, serves as Chair of the Survey/Civil Task Team and co-Chair of the CAD Layer Guidelines Task Team. 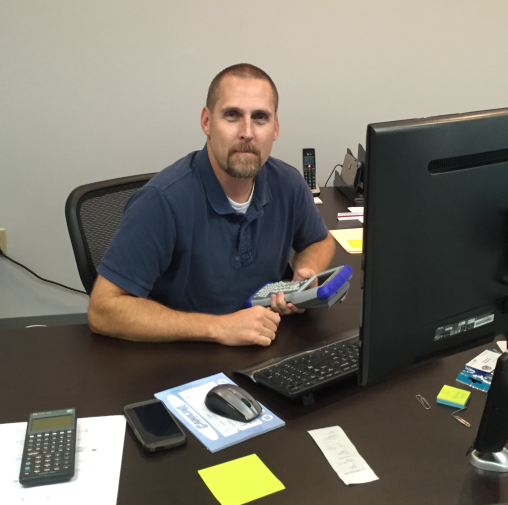 My name is Jeremy Taylor, a practicing North Carolina Professional Land Surveyor. I began my career in 1993 after graduating from Central Piedmont Community College with an Associate’s Degree in Civil Engineering. While in school, I found the handful of required surveying classes intriguing and fun. So after graduation, I decided to take a job as a rodman to see if surveying was for me. Three years later and with another Associate’s Degree in Surveying under my belt, I became licensed. I’m still not sure I found my “true calling”, but I found a career that I really enjoy….most of the time. One of the good things that came from my decision to become self-employed was an introduction to Carlson Software. Throughout my career, I had used various data collectors and data collection software (TDS, SMI, C&amp;G). All drafting and calculations were done exclusively with Autodesk Land Desktop, with an occasional foray into Microstation. All along, I kept thinking that it sure would be nice to have a little more cohesiveness in getting data from field-to-office and vice versa. I had read good things about Carlson’s products so I decided to give them a shot. I purchased a Carlson Explorer 600+ data collector running the latest version of SurvCE and a copy of Carlson Survey for drafting and calculations. A month into using their products, I knew someone finally got it right. I had a conversation with Jennifer several weeks ago and she mentioned an intriguing opportunity. She’s been considering expanding That CAD Girl’s business to include sales and support of Carlson’s hardware and data collection software. And while she’s an expert in all things CAD, she was looking for some assistance with demos and training for the field-orientated products. While I wouldn’t exactly call myself an expert, I use Carlson’s hardware and software on a daily basis. We thought, who better to showcase their products than an actual customer.